Lemon Ice Cream Sandwich Bars - Tangy Lemon + Cool Sweet Ice Cream! It’s time to tingle your taste buds in the most delightful summer-y way with these lemon ice cream sandwich bars! I partnered with Krusteaz to create this light and refreshing dessert that combines the tangy zip of Meyer lemons with the cool sweetness of ice cream. There’s happiness in every bite! The key to this dessert treat is to use Krusteaz Meyer Lemon Bars which are amazing when baked as directed, but add ice cream and you’ve got the perfect antidote to the late summer heat and humidity. I think they look super cute when tied with pretty ribbons! Get the recipe now and enjoy a bite of summer! Homemade lemon ice cream sandwiches sound like such a delicious treat. Yours look amazing. Gotta pin this recipe! 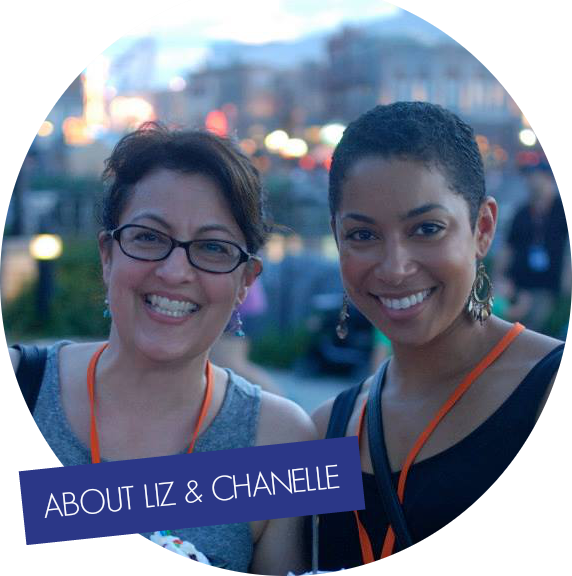 We are so glad you shared your post with us at the #HomeMattersParty last week. Be sure to link up with us again when the party opens this Friday. This is a great idea to cool off in the summer and also ideal for parties, it looks like a little gift box, what a wonderful tip you gave. Do any local chain stores carry the Lemon Bar Mix? I love Krusteaz, but never thought about making Lemon Ice Cream Sandwich Bars. These look and sound delicious! They do look totally adorable tied with ribbons! What a fantastic lemon dessert idea. Thanks for sharing your recipe with us at Merry Monday this week! Oh they look so pretty! Delicious! 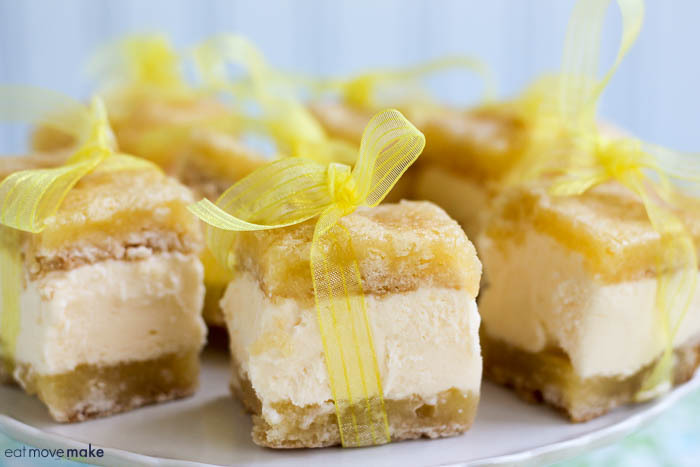 These lemon ice cream sandwich bars are the perfect treat to help us cool down this summer. I love lemon anything, so I am saving the recipe and making some for my family too. This looks amazing! I think it’s awesome that you shared this recipe, because my kids and I love ice cream sandwiches and lemon is just really perfect for the summer. I can’t wait to give this a try! I love this idea. Lemon flavored desserts are a favorite of mine. 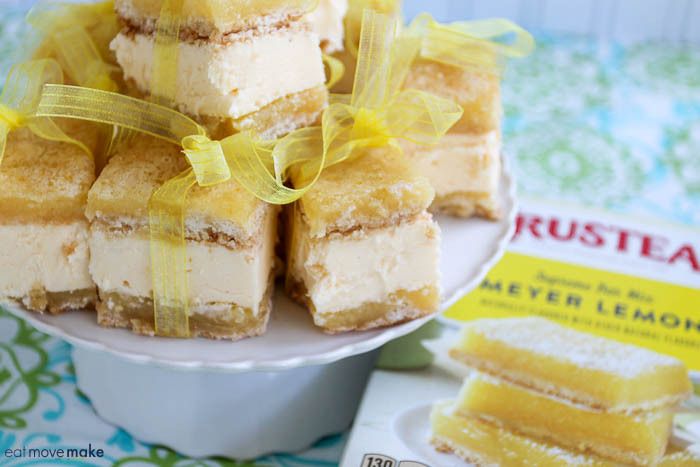 Making ice cream sandwiches with Krusteaz Meyer Lemon Bars is pure heaven. I followed your link for the recipe and saved it. Hopefully, I can free up some time this weekend to make this. Those ice cream sandwich bars look incredible! I wish I could reach right through my monitor’s screen and try one right now! What a great idea, these sound delicious! Oooh we are huge fans of Lemon!! These bars look incredible and I’m totally adding them to my recipe book! These look super yummy! I love ice cream sandwiches! Oh yum, these look delicious! I want to make these right now but might have to wait for the weekend. 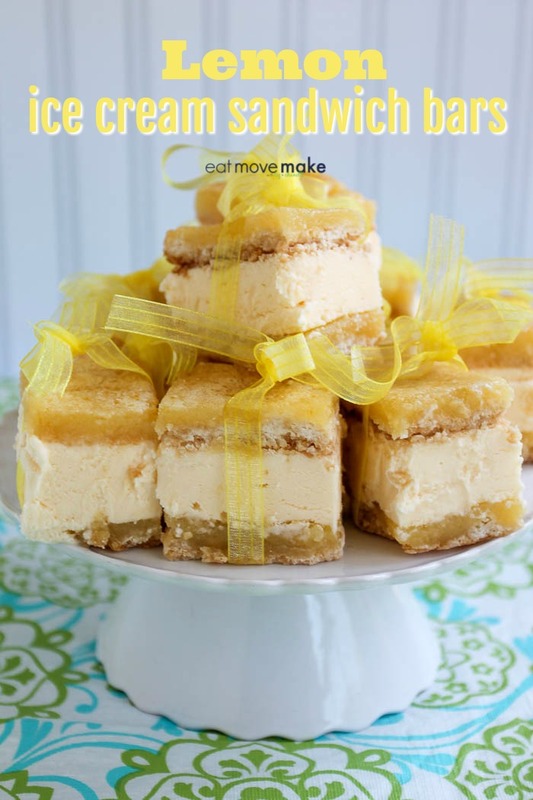 These Lemon Ice Cream Sandwich Bars look so delicious and easy to make. I will have to get the ingredients I need to make some to serve at my brunch this weekend. I already made the lemon cream bars so of course I need to make these too. Ice Cream happens to be one of my favorite desserts! omg these look absolutely delicious! What a perfectly refreshing treat for a summer day! Now these look like a treat that I would gobble right up. I love how you accessorized the bars with those cute ribbons. They would be so perfect for an elegant tea party! Ohh, what a nice, cool twist on just having a regular lemon bar as a snack. I’m sure it’s great for these hot summer days – as long as you eat it fast before it melts! That is a great way to enjoy the lemon bars. I have not had them in years so now I know how to get them. They won’t last long enough to put a ribbon on. Oh wow, these are right up my alley! I love lemon desserts, so I HAVE to try these. How delicious. I am so excited to try the new pancake mix from Krusteaz but till then I am making some of these. What a decadent treat! And I think these would be awesome for a baby shower! Krusteaz makes some great mixes. These ice cream sandwich lemon bars sound too good to be true. I LOVE the Krusteaz mixes. They have a really good cinnamon bread. These lemon ice cream sandwiches sound amazing! Perfect for summer! Oh my these lemon ice cream sandwich bars are looking so good right now, I can just imagine biting into one. Love the ribbon addition. These look AMAZING!! Lemon is my favorite!! I never had a combo like this before but I think I need it in my life! Oh my goodness do these look like insanely good. I cant even deal! Lemon is my fav flavor ever! I just love the presentation on these! The little bows are perfect. And ice cream and lemon just sounds so refreshing. Why have I never thought of this?! It looks so good. I love lemon anything! You had me at LEMON! These look amazing! I think I will make them for when the kids come home from their 1st day of school today. They will be so happy! I’ve never been a fan of lemon-type deserts. I would give this a try, as it sounds delicious! That sounds so good! This is the first lemon take on ice cream sandwiches that I’ve ever seen, and they look divine! Om nom nom. These look amazing! Lemon to me equal summer and ice cream of course does. This is a match made in heaven.